The popular facebook page Lost Ottawa now has a book! Officially launching on Sunday, October 22 from 12:00-2:00pm, Lost Ottawa has been flying off our shelves! 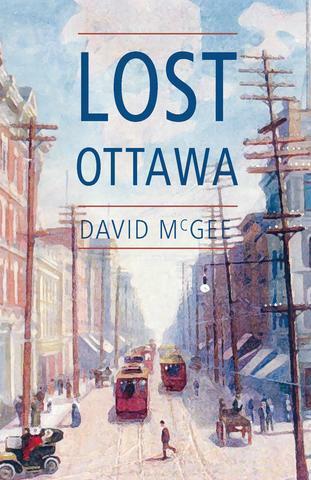 Put together by local archivist and historian, David McGee, Lost Ottawa is a wonderful book full of old photographs and fascinating historical notes – a real treat for any local history buff! We hope to see you this weekend! Snacks and refreshments will be served!